While they’ve been part of the PC gaming scene for as long as the genre of play has existed, it’s only in recent years with the growth of competitive gaming that the mechanical keyboards have really begun to get a look in. Yes they’re expensive, yes they tend to be relatively feature free, but they’re fast and they feel great when using them. With that in mind, it’s time to take a look at another: the Qpad Mk-85. Having looked at the Mk-80 previously with its Cherry Blue switches, I was very much looking forward to what the same sort of design could do when combined with the much more gamer orientated red variant. 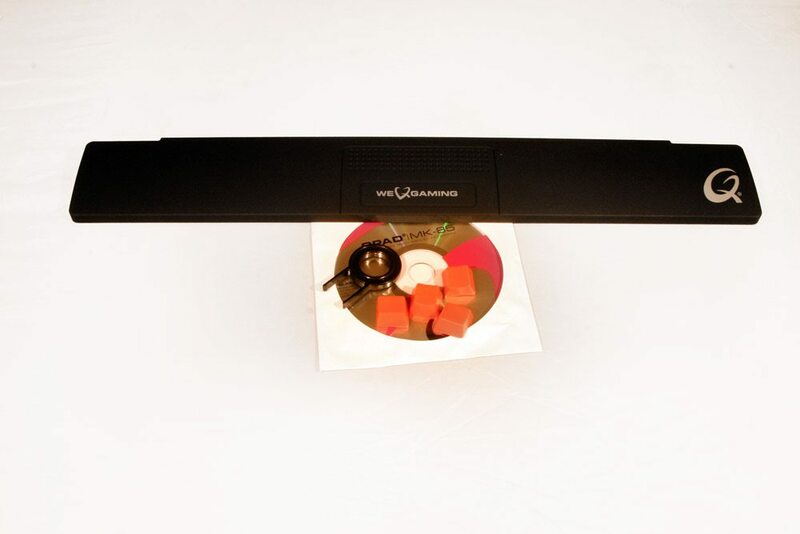 No box with this keyboard, just a small bundle that includes some orange alternative keys – 4 in total – a little tool for removing keys, a driver CD and lovely soft plastic coated wrist rest.